Even though it’s a concrete jungle, New York City is home to over 355 species of birds --everything from exotic owls to raptors and egrets. Every fall and spring during migration season, the city sees a host of these wonderful avians as they pass through. 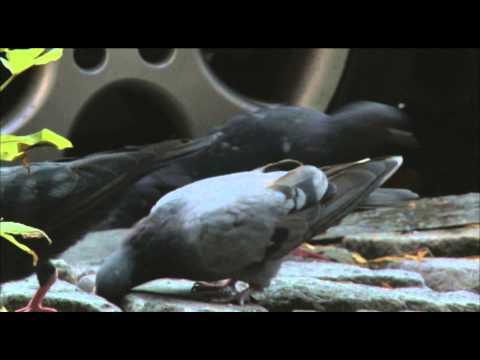 But the Big Apple isn’t always the most hospitable environment, and many of these birds become injured and sick. 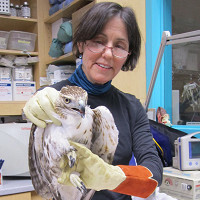 The Wild Bird Fund swoops in and cares for our wild winged friends when they are injured. Until the Wild Bird Fund was founded, New York City was one of the few major cities that lacked a much needed wildlife rehabilitation center. Rita McMahon, the organization's founder, started the Wild Bird Fund from her cramped apartment on Manhattan’s Upper West Side. The Wild Bird Fund provides medical care and rehabilitation to native and passing migrant wildlife so that they can be released back into the wild. With the organization’s important mission and the support of concerned nature lovers, the Wild Bird Fund upgraded to a 1,300 square foot rehabilitation facility -- letting them help more birds and even other wild animals. Every year, they care for and rehabilitate well over 1000 wild birds and animals in the city. This is a momentous feat that depends on a large, devoted volunteer staff and donations from concerned everyday people like you. Even though it’s a concrete jungle, New York City is home to over 355 species of birds --everything from exotic owls to raptors and egrets. Every fall and spring during migration season, the city sees a host of these wonderful avians as they pass through. But the Big Apple isn’t always the most hospitable environment, and many of these birds become injured and sick. The Wild Bird Fund swoops in and cares for our wild winged friends when they are injured. 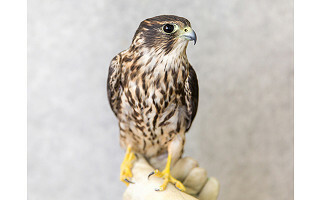 Until the Wild Bird Fund was founded, New York City was one of the few major cities that lacked a much needed wildlife rehabilitation center. Rita McMahon, the organization's founder, started the Wild Bird Fund from her cramped apartment on Manhattan’s Upper West Side. The Wild Bird Fund provides medical care and rehabilitation to native and passing migrant wildlife so that they can be released back into the wild. With the organization’s important mission and the support of concerned nature lovers, the Wild Bird Fund upgraded to a 1,300 square foot rehabilitation facility -- letting them help more birds and even other wild animals.